"Conquest is made of the ashes of one's enemies!" 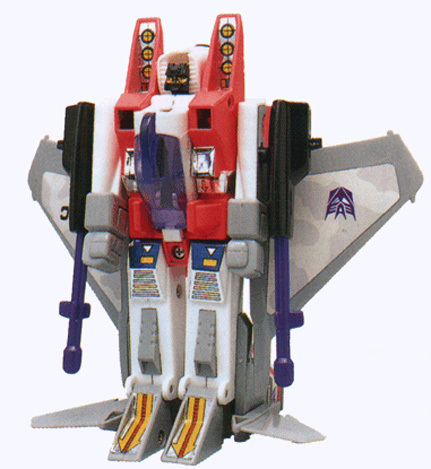 Starscream seeks to replace Megatron as leader. 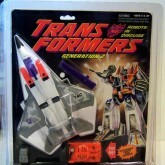 He is ruthless, cold-blooded and cruel, yet considers himself the handsomest, most sophisticated Decepticon of all. 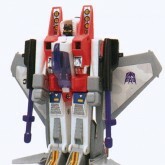 He believes Decepticons should rely more on guile and speed rather than brute force to defeat Autobots. He is the fastest flyer and can reach Mach 2.8 and an altitude of 52 miles. He enjoys shooting cluster bombs and null-rays to disrupt the flow of electricity. He is very good at what he does, but sometimes overrates himself. In Europe, sold as a part of the "Skyraiders" sub group. 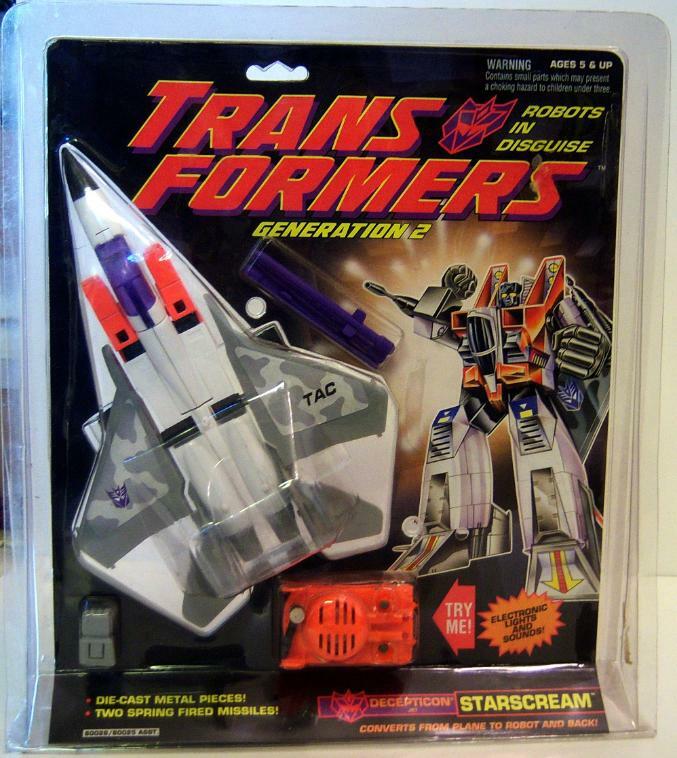 Actual toy unchanged.